Are you among those who are fascinated by the tea drinking culture in India? From the Masala Chai kettles of street vendors in Varanasi to sipping black tea in grandma's courtyards in Assam, from the aroma of Darjeeling’s orthodox tea to political debates and clay cups in Kolkata – the culture of drinking tea has an almost sacred status in India. It is perhaps as deep rooted as the culture of music in our beautiful country. In the farthest corners of India, no occasion is complete without music; lullabies, weddings, festivals, simple merriment and even mourning – a few symphonic notes are bound to linger around. With that in mind, we, the Music Malt team (a part of Eastern Fare Music Foundation by the way) wondered what if we could club the two cultures and create something amazing for the tea and music lovers. “It’s been done before”, we told each other. So what was it that we could bring to the table that left people with a fulfilling experience, as fulfilling as music or tea? We thought and thought and Bazinga! ChaiTunes emerged. It was almost like a bulb lit on top of our heads (read: no fake humility, we felt like geniuses). ChaiTunes, as it stands today, is a concept, where music is brewed and stories are told over cups of tea. It’s an experiment where musicians from different parts of the country come together to create a musical experience. There will be folk artists, bands, musicians, artists, actors and people from all over India coming together to be a part of this journey. 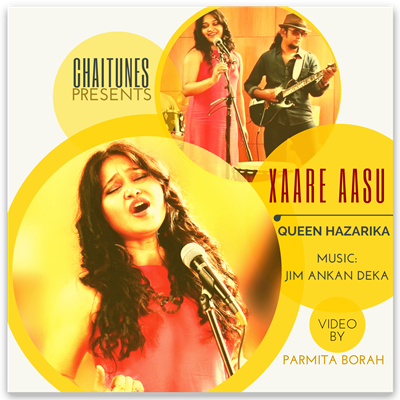 The first composition of Chaitunes series is Xaare Aasu. 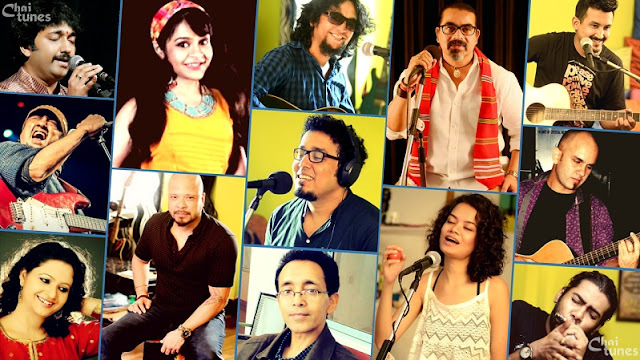 Among the tea drinkers of Assam, noted composer Jim Ankan Deka has composed the song, and noted contemporary singer Queen Hazarika has rendered the vocals. Among the tea lovers of Karnataka Shreyas Akarshan (of beat gurus) has played the drums, and Harish Marappa has played the bass. Prateek Nalawade brings his a dash of Maharastrian flavor with the guitars. Playwright and theater actor Suhit Kumar and blogger Divya Nambiar have acted in the story that progresses along with the song. The lyrics of the song is based on poems by Assamese writer duo Prof. Bhabananda Deka and Nalini Prava Deka. Parmita Borah from Bangalore directed the video. Videography is done by Deepak Vijaykumar and his team. The song is recorded, edited and mastered at Madcat Studios and Eastern Fare Studio, Bangalore by Anil CJ and Jim Ankan Deka. Well there isn’t much to say. So sip on some ChaiTunes and refresh yourselves!